Audi's sports cars are the perfect partner for precision-engineered titanium alloy Evolution systems, which make the Ingolstadt machines even ore attractive on all fronts. They yield more power, lower the weight and deliver that unmistakable Akrapovic sound. It's deep and resonant at lower engine revs, and sporty at higher revs. The system also generously delivers additional performance. 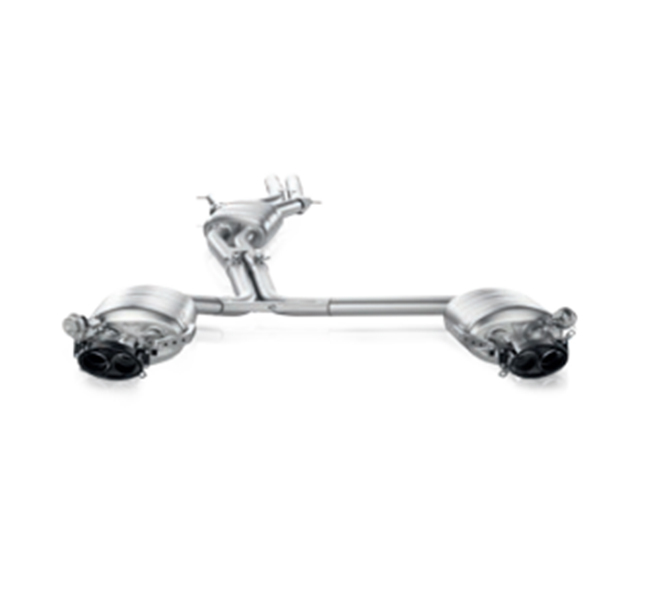 These titanium exhausts systems with three mufflers and special parts cast at the in-house foundry feature inbuilt valves to adjust the sound. Valves are connected to the RS' standard electronics. The package is rounded off by carbon fibre and titanium tailpipes, which really stand out and display the sports spirit of the Akrapovic exhaust. This is a cat-back performance exhaust system, which means that the stock catalytic converters remain in place and there's no need to remap the ECU.